Dimensions - 12" x 12"
Please note: photos above are for representation purposes only. Our most versatile version – ideal for wet or damp areas. Each one square foot tile incorporates hundreds of hexagonal drainage holes. 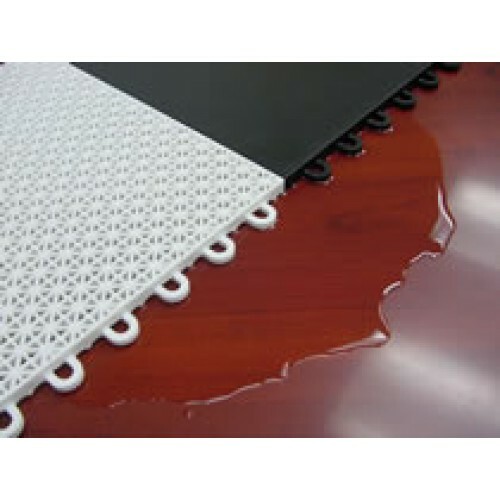 In addition, the drainage holes are surrounded by small anti-slip textured ridges for additional traction when wet. Water and rain flow through the top surface and underneath the floor, making it suitable for utility areas, such as laundry rooms and pool areas. Easy-to-use connection system. Male-to-female loops snap together easily without tools. Our patented 7-loop connection system makes Auto Deck the simplest modular flooring system to install on the market! Simple to clean and maintain. Cleans up with mild detergent. 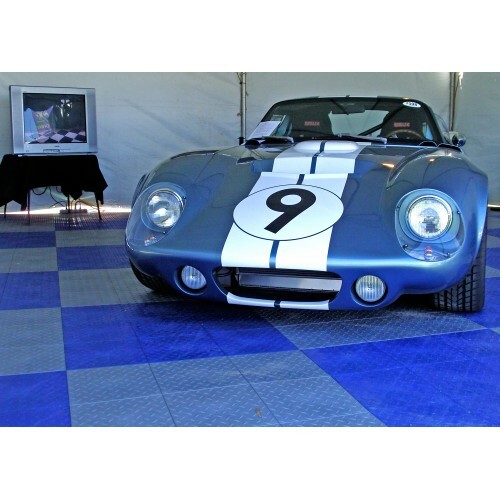 Tiles resist oil, chemicals, dirt and the heat from engines. 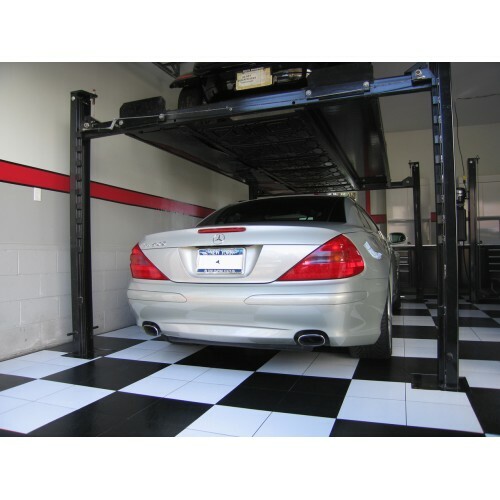 Will not stain or fade - Auto Deck modular flooring tiles will look good for years! Anti-fatigue - ideal or workshops, shop floors and laundry areas. 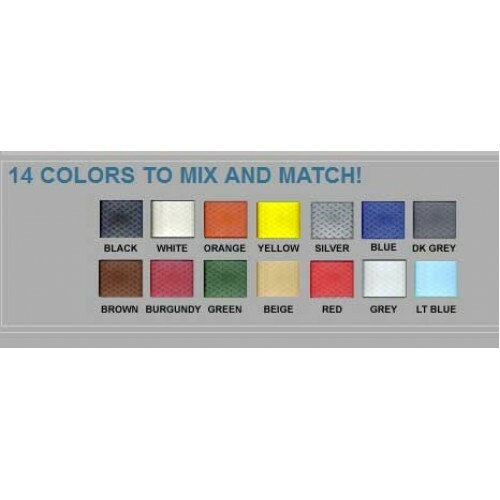 Edging is available - perfectly finishes off floor. Sturdy and durable - tiles can support weights up to 20,000 lbs per sq/ft allowing ample support for cars, equipment and machinery. Don't forget the Auto Deck Edging to finish off the job. 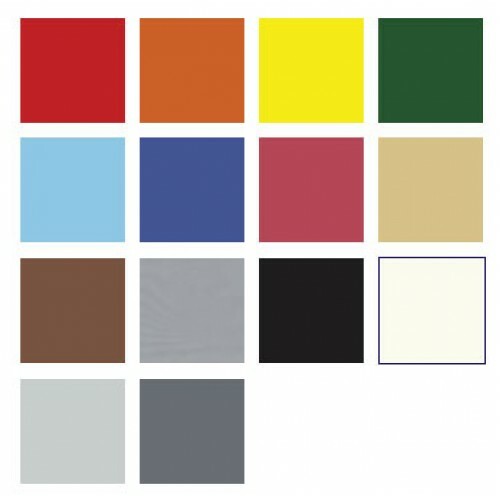 RaceDay Peel & Stick Garage Floor Tiles - Levant - 12"
RaceDay Peel & Stick Garage Floor Tiles - Levant - 12" Garage Flooring Tile Dimensions - 12" x ..
RaceDay Peel & Stick Garage Floor Tiles - Levant - 24" Garage Flooring Tile Dimensions - 24" x.. 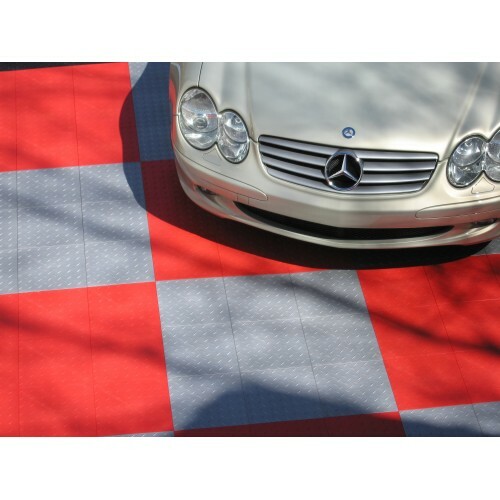 Original Rib/Channel Garage Floor Cover Purchase more than 1 and save $15 on every roll! 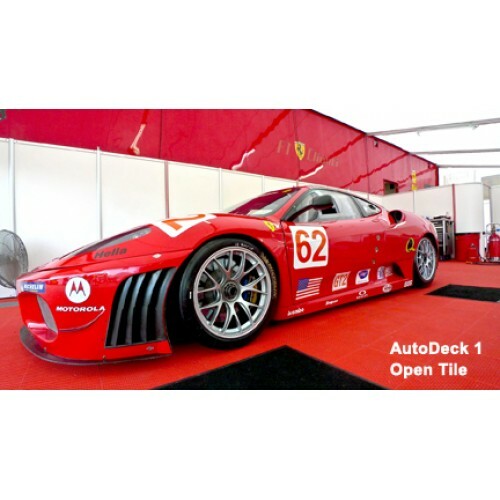 Gar..
RaceDeck FreeFlow Garage Floor Tile - 12"
RaceDeck FreeFlow Garage Floor Tile FREEFLOW (12" Tile) - Creates a Hi-tech look. Offers maximum ..